Today is my tour stop during the blog tour for London Falling. I’ll be sharing an excerpt from the book with you and there is some information about the book and a tour wide giveaway! The blurb of this book sounds interesting and as if this will be a fun read! It’s London’s senior year and she only needs one class to graduate. She just didn’t expect her final assignment: fall in love. Communication 224 has a reputation for giving out the most unique projects of the semester. When London James and Beau Anderson signed up for the class they had no idea they would be paired up together, much less spend an entire semester working on their final grade. Professor Garcia tasks them to produce a study on the hit reality show, Love Match, a show about strangers falling in love on over the top dates. London and Beau decide to debunk the popular show’s fantasy portrayal of romance. Determined they can date the entire semester and not fall for each other, the classmates share blogs about their dates and start a website where everyone can follow their dating experiment. Resisting their growing attraction for one another is harder than they thought. London is in for the toughest class of her college career. The headstrong and success-driven student discovers there might be more important things in life than an A. He pointed to a black and chrome motorcycle wedged between two giant SUVs. He handed me a helmet as he climbed on the bike. With a flick of the wrist, the bike roared to life. “Coming?” He patted the seat behind his back. I had never been on a motorcycle before. They were noisy and scary. I was sure my mom would have a heart attack if she saw me climbing on the bike right now. I slid one leg over the side until my body aligned with Beau’s. I tried to sit up straight, so I wasn’t pressed so close to him. “Hold on tight.” He grabbed my hands and locked them around his chest. The muscles under his shirt felt as hard as I imagined. Wait, I hadn’t imagined what they would felt like, had I? He walked us backward and then revved the bike forward, leaving the wine bar and Pottery Paints behind us. Funny, I was freezing, but I loved the bike. I felt free, even wrapped around Beau. Within minutes, he pulled into my gravel driveway. Not sure how long I should keep my hands on his chest, I dropped the embrace as soon as he took off his helmet. “Thanks, Beau. I had fun tonight.” I hesitated before handing him the helmet. I didn’t know how fake dates were supposed to end. Nina’s nagging voice echoed in the back of my head. She would want me to invite him in. Instead, I spun on my heels and walked toward the front door. “See you in class.” “Night, London.” He revved the engine a few times and spun out of the driveway. What was it I called Beau only a few hours ago? Regular? After our fake date tonight, I wasn’t sure that was entirely true. I watched his taillights round the corner. I needed to get inside, start working on the blog, and stop thinking about Beau Anderson. T.A. Foster is a Southern girl whose heart and spirit are connected to the beach. 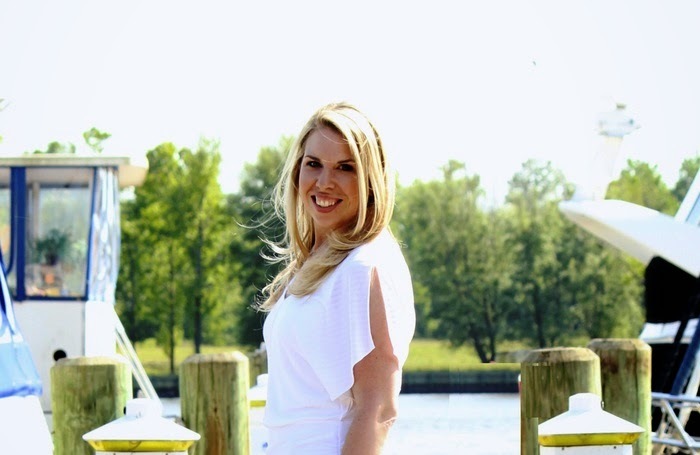 She grew up catching rays and chasing waves along the North Carolina Outer Banks and now resides in the state with her adventurous pilot husband, two children and two canine kiddos. Her long love affair with books started at an early age, and as soon as she was able, she transformed imaginative stories into words on paper. Time Spell is T.A.’s debut novel, and the first in a series about a very adventurous, clever, and magical girl named Ivy. T.A. has an undergraduate degree in Journalism and Mass Communication from the University of North Carolina at Chapel Hill and a graduate degree in Educational Psychology from Texas A&M University. When she’s not chasing her two-legged and four-legged children or trying to escape for date night, you can find her reading, writing or planning her next beach trip. Oh it does sound interesting. Thanks for the heads up Lola! It sounds like a fun and original read and I definitely plan on picking this up eventually.